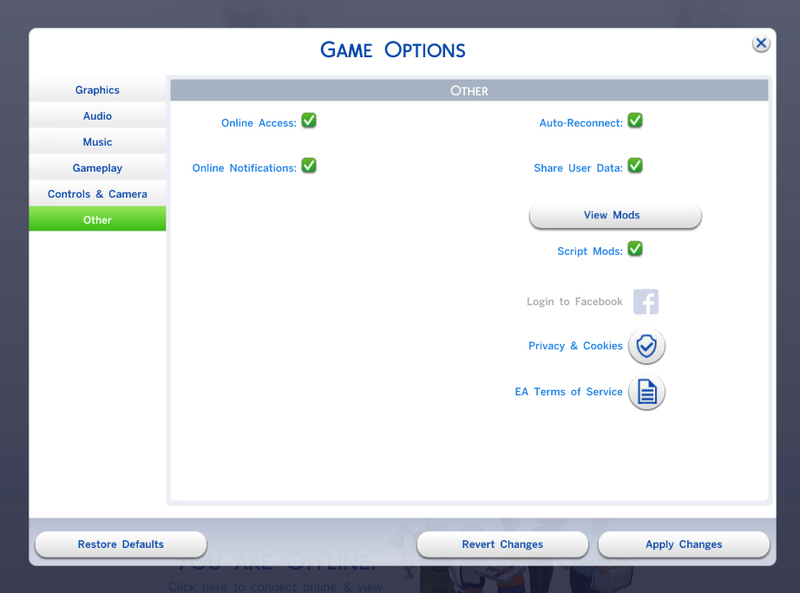 Updated with German translation, thanks to Sims4Adults! Hello S4 Modlings! I present to you my first upload: Tense Sense! This Trait adds 4 unique moodlets which will both challenge and benefit affected Sims. They will randomly gain two powerful negative Moodlets, Tense Stress and Tense Anger, the former more frequently than the latter. 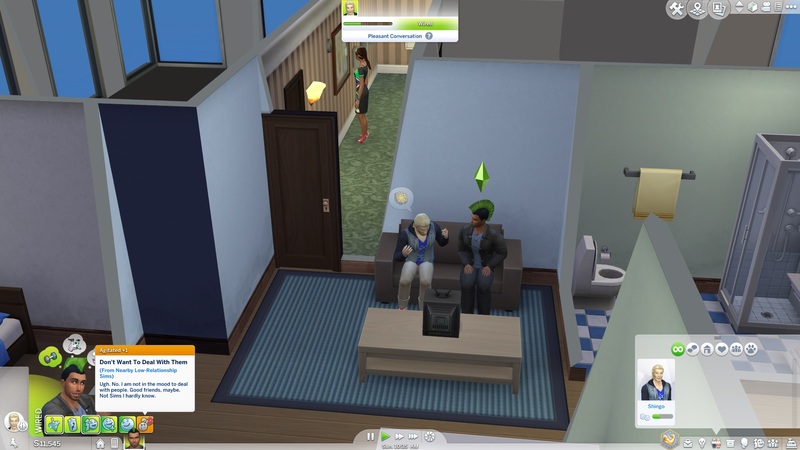 If near Sims with which their Friendship is below 60% and Romance is below 30%, the Sim will gain Don't Want To Deal With Them, a powerful negative Moodlet. While in a neutral or positive Mood and free of the aforesaid Moodlets, Sims will gain a very powerful neutral Moodlet, Peace Of Mind. Due to their cumbersome social difficulties, they have no actual need for social interactions; their Social Need bar will never decrease. There are many other nit-picky details I've attached to all three Moodlets, viewable in the spoilers below. Tense +4, 2.5 hour duration. 75% chance at 6-18 hour intervals. 50% base chance on Moodlet addition to decrease Manners by 10, chance increased based on Trait Moodlets and negative Mood. (Parenthood) All five Life Skills will decrease 25% more per interaction. Mental Skills increase 30% slower and are 2 ranks less effective. Social Skills increase 50% slower and are 1 rank less effective. Musical Skills increase 20% slower and are 1 rank less effective. Physical and Athletic Skills increase 10% faster and are 1 rank more effective. Fun Need decays 10% faster. Hygiene Need decays 5% faster. Friendship will increase 10% slower and decrease 10% faster per interaction. Romance will increase 15% slower and decrease 15% faster per interaction. (Parenthood) Authority and Rivalry will increase 10% slower and decrease 10% faster per interaction. Sims are more likely to use Angry or negative autonomy interactions. Angry +3, 2.5 hour duration. 50% chance at 12-24 hour intervals. (Parenthood) 25% base chance on Moodlet addition to decrease Emotional Control by 10, chance increased based on Trait Moodlets and negative Mood. Creative Skills increase 25% slower and are 2 ranks less effective. Social Skills increase 50% slower and are 2 ranks less effective. Physical and Athletic Skills increase 10% faster and are 2 ranks more effective. 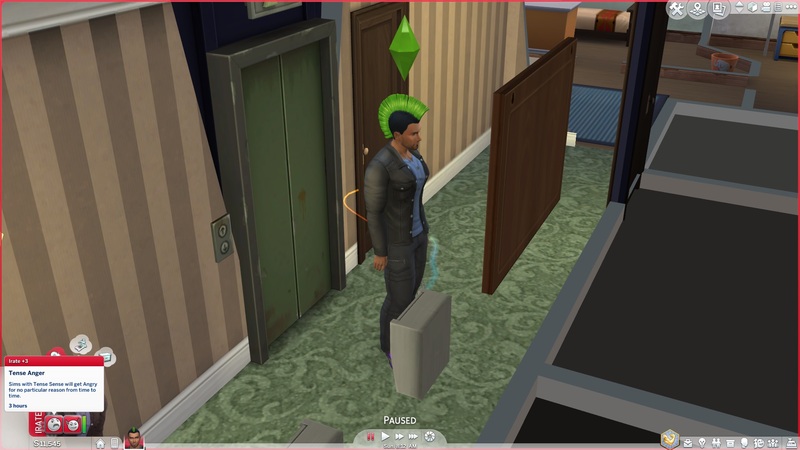 Proximity Buff; will activate when near any Sim(s) with less than 60% Friendship OR 30% Romance that is not part of your household. Continuous Staged Buff; Moodlet duration will continue to increase as long as you are in range of triggering Sims. 60 minute grace period before triggering and adding the Moodlet, but Moodlet will persist until timer expires. Each Stage makes the Moodlet more intense; from Tense +1 to +6, then changes to Angry +4, +7, and finally +10. The Moodlet will stage downward, too! Each stage lasts 60 Sim-minutes, but is affected by anti-Tense interactions. Fine +3, Active Buff. Moodlet will appear any time the Sim is in a neutral/positive mood AND does not have any Trait debuff Moodlets. Increases Focused-Mood-based Careers' Performance gains by 50%. (Get To Work) Increases Scientist Breakthrough Progress gain by 33%. (Get To Work) Increases Detective Interrogation Table Progress gain by 25%. (Parenthood) Increases Life Skills gains by 33%. Increases all Mental Skill gains by ~17-33%. (Get Together) Increases Fitness and Dancing Skill gains by ~8%. (Cats & Dogs, Vampires)Increases Pet Training and Vampire Lore Skill gains by ~17%. (Get To Work) Increases Retail Skill gains by 25%. Increases Hack Payout and Homework gains by ~17%. Increases Crafting Progress gains by 25%. (Cats & Dogs) Increases Discipline gains by 25%. Increases all Programming crafts progress gains by 25%. Increases Horseshoes and Video Games' Skills by ~17%. Increases Woodwork Progress gain by 25%. Karazhan87_TenseTraitV1.1.7z | Description: --Updated with German translation!-- Sims with the Tense Sense trait have a Tense personality! They will become Tense and/or Angry at random intervals, but benefit from a clear mind. if you made a version where the social need doesn't decay, I'd totally play it! (as a rule I tend not to like those). I don't mind if it's challenging gameplay - I have a Sim in mind (me, lol!) who has a lot of mental hangups like these. I think this is a brilliant mod which adds complexity to gameplay, so great thinking! Being Very Tense will not cause death, just rudeness. Thank you much for your support, and if you have requests or questions, ask away!